Connie obtained double First Class Honours in both BSS (Govt. & Laws) and LLB at the University of Hong Kong as well as her masters degree in Bachelor of Civil Law at the University of Oxford. She was awarded the Bar Scholarship in 2008 before she joined Chambers in 2009. She has a broad civil and commercial practice with particular emphasis on company and insolvency matters. She has been instructed in making applications such as appointment of provisional liquidators and for scheme of privatization and arrangements. She acts for liquidators and trustees in bankruptcy as well as receivers from time to time. She has experience in representing directors of listed companies in disciplinary proceedings of the Hong Kong Stock Exchange (both before the Listing Committee and the Listing Appeal Committee). Recently, she is acting for one of the directors in the claim arising out of Convoy’s HK$2.8 billion stock placement exercise: Convoy Global Holdings Limited v Cho Kwai Chee Roy & Ors HCA2922/2017. She also advises on regulatory and competition law matters. She represented the SFC in the first trial for reversing an IPO (over a HK$1 billion buy-back offer) under section 213 of the Securities and Futures Ordinance: SFC v Hontex International Holdings CACV 182/2012 & HCMP630/2010 (led by Mr. Simon Westbrook S.C.). Since 2016, she has been appointed to the Competition Commission’s Panel of External Counsel. She represented one of the parties in a 4-week trial before the Competition Tribunal: Competition Commission v W. Hing Construction Company Limited & Ors CTEA2/2017, the first case on market sharing and price fixing in Hong Kong; see also:  5 HKLRD 437. In September 2018, Connie was appointed to sit as a Deputy District Judge. Joint and Several Liquidators of GMF Finance Ltd v. Clourtier Guy Evon  HKCA 105 &  HKCFI 366, acted for the Liquidators in enforcing a facility letter and charge involving arguments on breach of the Money Lenders Ordinance. Re: WDI International (HK) Limited HCA1973/2012 (Judgment dated 21.3.2017), grant of Wallersteiner Order after the conclusion of the derivative action. Re: Asia Television Limited HCCW 39/2016, acted for the Protection of Wages on Insolvency Fund Board in the winding up petition of a local television broadcaster. Re: Everglory Energy Limited HCCW 198/2016 (Judgment dated 20.7.2016), a shareholders’ petition involving application for urgent injunctive relief and opposing application for validation order (led by Mr. Ronny Tong S.C) and obtained an interim order to reconstitute the Board (led by Mr. Chua Guan-Hock S.C); see  3 HKC 393. Re: Chang Hyun Chi HCB5227/2006 (Judgment dated 12.5.2017), representing the Trustees in Bankruptcy in an application to challenge the constitutionality of sections 27 and 29 of the Bankruptcy Ordinance. Re: Lau William John  2 HKLRD 404, acted for the Trustees in Bankruptcy in respect of a removal application. Re HNA Group Co. Ltd  4 HKLRD 463, costs upon withdrawal of a winding up petition. Re: Pedagogic Innovations Limited  1 HKLRD 613, stay of voluntary winding up under section 228A of Cap. 32 (with Mr. Jose Maurellet). Re Pacific Bulk Shipping Ltd HCMP 1244/2015, acted for the Receivers applying for interim relief and declaratory relief as to the validity of the ir appointment. Re Hairun Media Group Limited HCMP3045/2014, deferring the dissolution of the Company under section 239(4) of Cap. 32. Re Xi Yu HCB 2847/2014, annulment of bankruptcy order pursuant to section 33(1)(b) of the Bankruptcy Ordinance. Re: Surani Bhupendra Jivarajbhai HCB 12522/2009, acted for the Trustees in Bankruptcy and obtained an order for the defer of the discharge of the Bankrupt under section 30A of the Bankruptcy Ordinance. Re: Ng Tze Ching HCB 5883/2006, order for sale under section 60 of the Bankruptcy Ordinance. Chan Yu Ling Abraham & Ors v. Purapharm International Ltd HCMP2148, 2149, 2151, 2153 to 2158/2013, clarified the difference between inadvertence and indifference in granting relief under sections 111(2) and 122(1B) of the former Companies Ordinance for the failure to hold AGMs and/or to lay the accounts. Shagang Shipping Co. Ltd v. Guofeng Enterprise Group Ltd HCMP536/2012, injunction to restrain the presentation of the winding up petition (with Mr. Jose Maurellet). Re Fexon Enterprises Ltd HCMP 2239/2012, inspection of documents under section 152FA of the former Companies Ordinance. Re Willwin Development (Asia) Company HCMP 2076/2012, application to convene general meeting under section 114B of the former Companies Ordinance. Re-Wheelock Properties Ltd  4 HKLRD 857, confirming a scheme of privatization. Arrows Ecs Norway AS v. M Yang Trading Limited  HKCFI 975, resisting an application for summary judgment in respect of a claim over US$4 million concerning the novel issue whether illegality will defeat the change of position defence; also reported in  5 HKC 317. Hoi Tin Tong Co. Ltd v. Choy Kwok Keung HCA 1755/2013 (Judgment dated 4.8.2017) confirmed the existence of other claims in the same libel action does not take away the right to jury trial. Leung Pik Wa v. Poh Po Lian & Luck Continent Limited HCA 681/2011, trial concerning the beneficial ownership of around 46.2% shares of a Hong Kong listed company (led by Dr. William Wong S.C). New World TMT Limited v. Zhou Yipei & Ors HCMP115/2017, HCA 1954/2015, HCMP1258/2015 & HCMP 1911/2015, represented the Plaintiff to enforce a foreign judgment of over US$4 billion which included obtaining Norwich Pharmacal relief. Oriental Press Group Limited v. Inmediahk.net. Ltd  2 HKLRD 1004, a libel trial in respect of publications on websites and obtained Norwich Pharmacal relief. Value Capital Ltd v. Ke Jun Xiang  1 HKLRD 1011 setting aside a regular default judgment involving principles on conditional delivery of bills of exchange. Goei Tsusho Co. Ltd v Leader Engineering & Construction Ltd and Anco-Tech (H.K)  2 HKLRD 1084, an appeal involving principles on ostensible authority (appearing with Mr. Anson Wong). 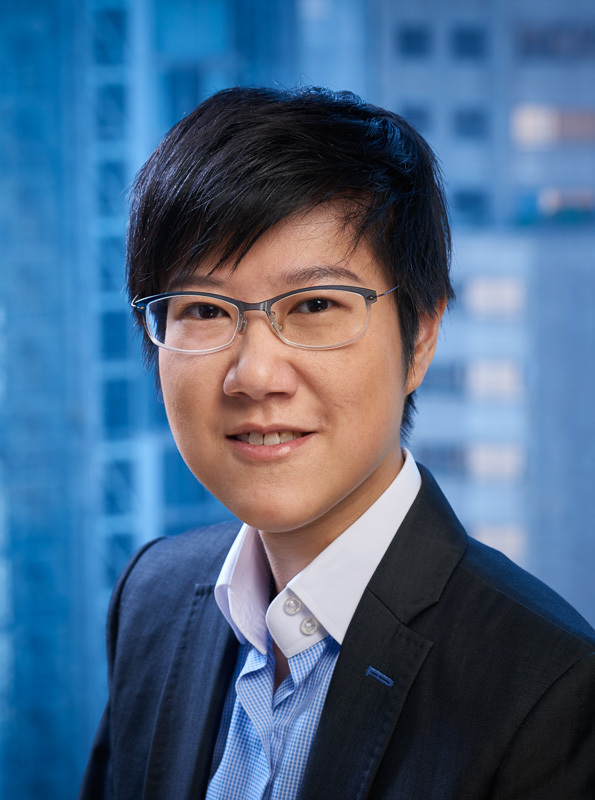 Mak Wai Man & Ors v. Richfield Realty Limited HCLA 28 to 31/2015, an appeal from the Labour Tribunal which considered for the first time the deduction sub-sections 35(4)/41(6)/41C(6) of the Employment Ordinance Cap. 57 since their enactment in 2007 (led by Mr. Anson Wong S.C). See also:  HKDC 358, the retrial which applied the deduction sub-sections and held that team-based commission and bonus paid to an employee are deductible from the statutory entitlements of holiday pay. Lit Yu Yau & Chung Cheuk Wai v. Richfield Realty Limited HCLA 23/2012, an appeal from the Labour Tribunal concerning a claim for payment of bonus. Tung Lai Lam v. Oriental Press Group DCEO 6/2011, striking out a claim for discrimination by way of victimization brought under section 7 of the Disability Discrimination Ordinance. H v. The Sun News Publisher Limited DCEO 1/2013, trial involving a vilification claim brought under section 46 of the Disability Discrimination Ordinance. L v. Oriental Press Group DCEO 3/2014, striking out a vilification claim brought under sections 46 & 49 of the Disability Discrimination Ordinance. Advising on the merits of a potential claim for unlawful discrimination and harassment in the employment context. For a more complete list of cases in which Connie appeared as Counsel, please visit the Judiciary Website at http://legalref.judiciary.gov.hk/lrs/common/ju/judgment.jsp; where you can access the list by using the advanced search function.